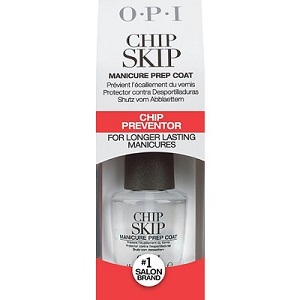 OPI Chip Skip Manicure Prep Coat, .50 fl. oz. Chip preventer that adheres nail polish onto nails to prevent chipping of nail color. Directions: Use just like a base coat, apply to nails first, then follow with favorite nail polish color and top coat.